Viewing 24 of 362 items. 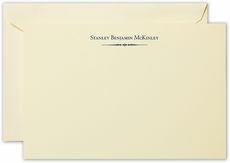 Set of embossed flat cards with 50 blank envelopes, your choice of triple thick stock color, 6.2" x 4.5". Uppercase lettering only as shown. 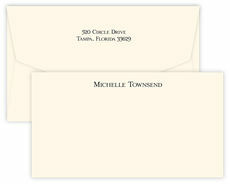 Optional envelope linings and return address..
Rich and elegant, these note cards feature an old world printing technique called letterpress which dates back to the 1400's. The letterpress method has recently made a huge resurgence in..
A set of 50 flat note cards. Size is 6.25" x 4.625". 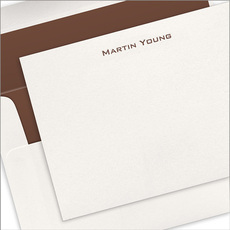 You select your favorite raised ink color on white or ecru stock. 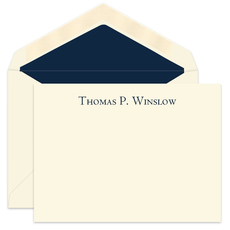 These come with blank matching envelopes. 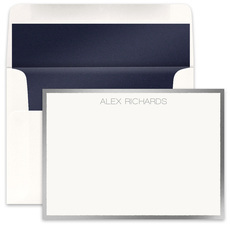 Lined envelopes and flat..
A Stationery Studio exclusive! A set of 25 flat note cards in your choice of triple thick stock. 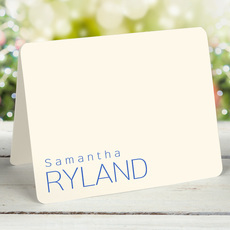 Your choice of border color and raised ink color for your personalization. 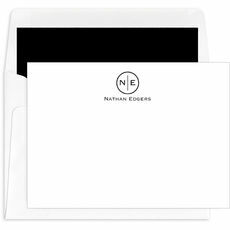 Size is 6.2" x..
Set of wide flat note cards with your choice of triple thick paper color. Your choice of raised ink color. Size 8.5" x 4.5". 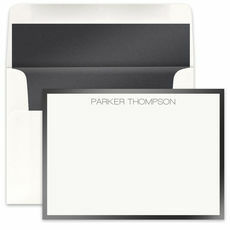 Blank envelopes included. 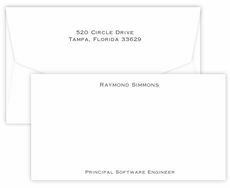 Printed return address and optional.. Morning strolls in the garden. Afternoon tea on the terrace. Wish you were here. Instead, a note expressing such on this ecruwhite correspondence card. 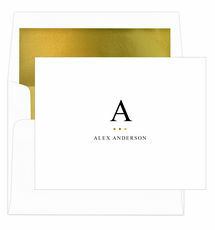 Your name in you choice of raised ink color and..
Personalized Modern Glam Stationery features this season’s must-have accent, luxe gold foil. 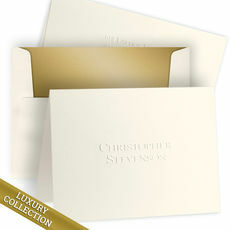 Features the Initial Indicator design as shown elegantly stamped in gold foil. · Foldover notecards ·..